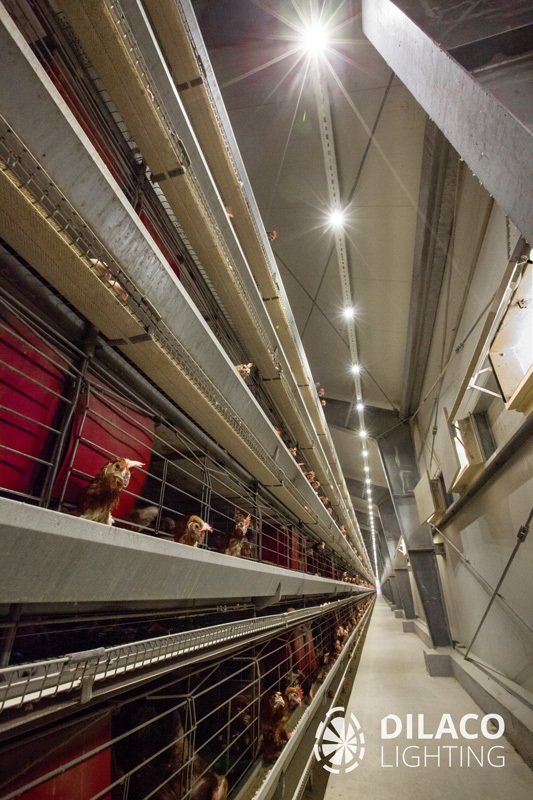 Our main activity is the designing, manufacturing and complete implementation of LED lighting technologies for poultry farms, in addition to providing special consultancy in this field. Our philosophy is that, rather than merely offering lighting fixtures, we provide complete lighting solutions tailored to the given breed and management technology. 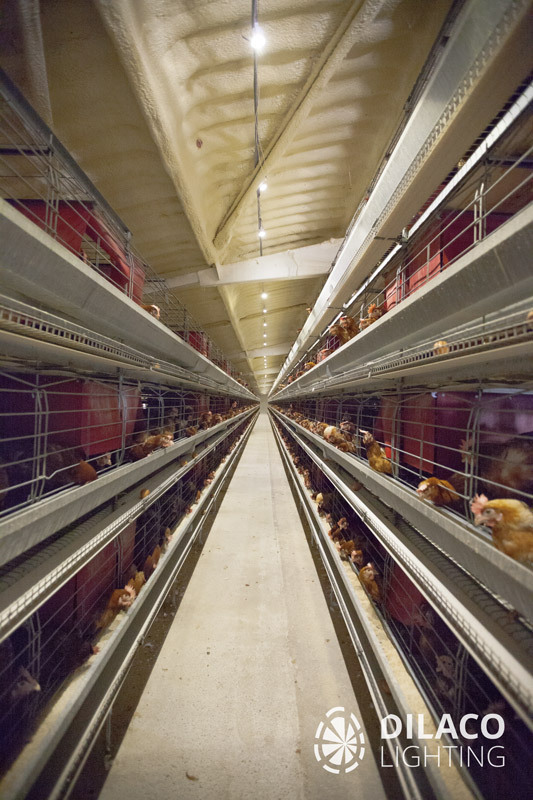 The agricultural lighting technological solutions developed by us can be used in all fields of poultry production, from grandparent breeding farms using deep litter management technology to commercial 12-tier cage layer houses. With our continuous research and development activity our aim is to achieve the premium category in the field of agricultural lighting. Poultry houses need special lighting. 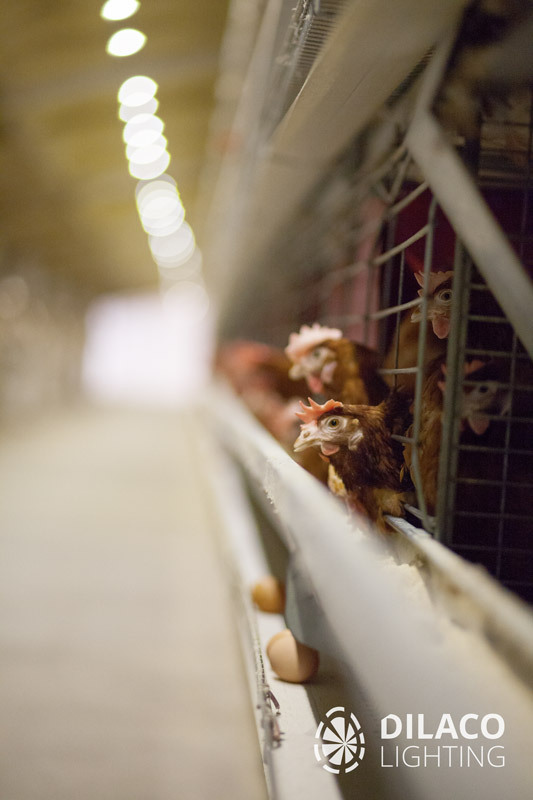 The Dilaco’s system presented in this video on a grandparent breeding farm offers a solution in this particularly demanding area, resulting in 90 percent energy saving plus a significantly increased biological yield. The eyesight of birds differs from that of humans. 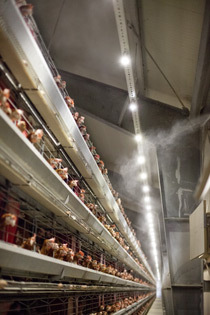 Therefore, lighting devices designed for humans cannot create an adequate environment for birds. Dilaco’s lighting system uniquely reproduces the natural light conditions with careful attention to the diurnal rhythms, the exact simulation of sunrise and sunset, and the colour, spectrum, colour temperature and frequency of light. 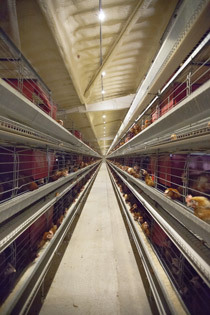 In addition to our grandparent farm video offering a comprehensive view, we have also made a film that presents a commercial layer house of cage system. In these videos we wish to show that we are using different optics for the lighting of narrow corridors. 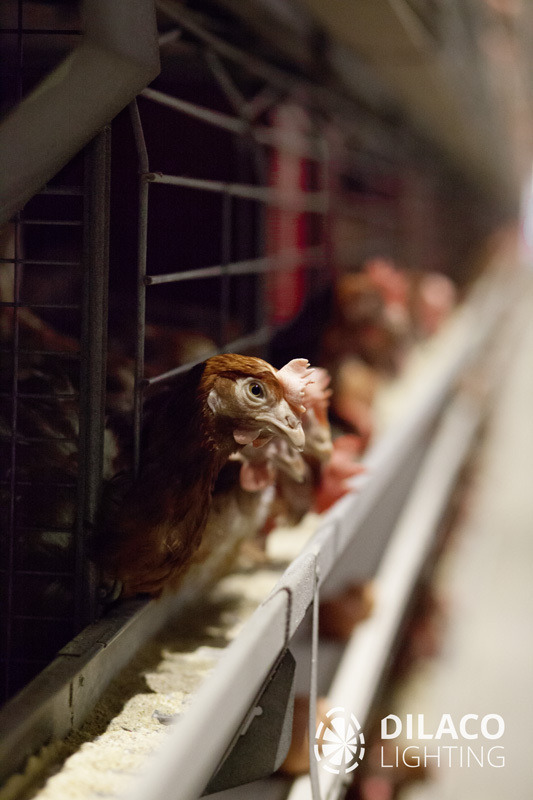 This ensures that in a five-tier house even the lowermost tier has light intensity values corresponding to the requirements of the given breed. As a result of this, the hens lay eggs of the same weight and size on all tiers. Dilaco Lighting Ltd. is a Hungarian enterprise specialized in agricultural lighting solutions. 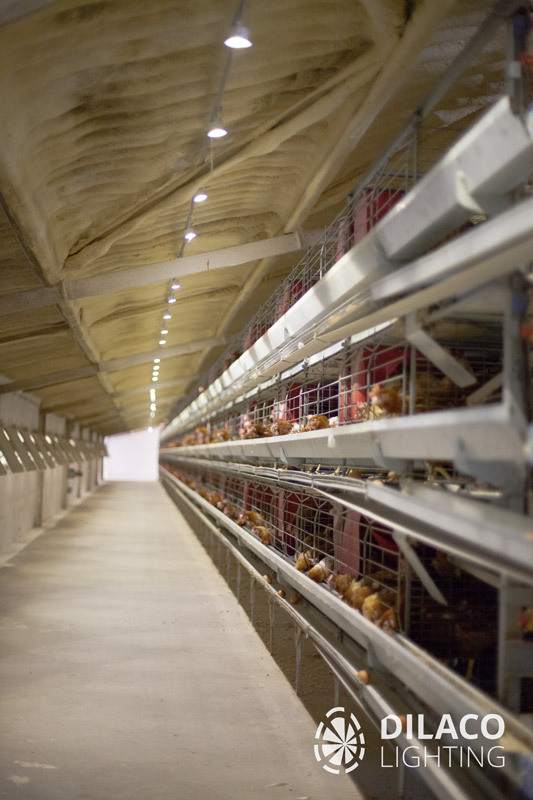 Our main activity is the designing, manufacturing and complete implementation of lighting technologies for poultry farms, in addition to special consultancy in this field. 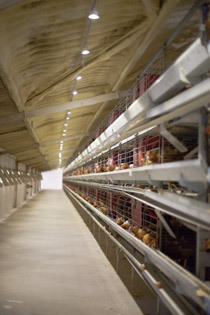 The agricultural lighting technological solutions developed by us can be used in all fields of poultry production.